I got a request to create some cookies for a Russian tea party. I had the freedom to chose my designs and I created three different sets. Today I tell you about the first one. 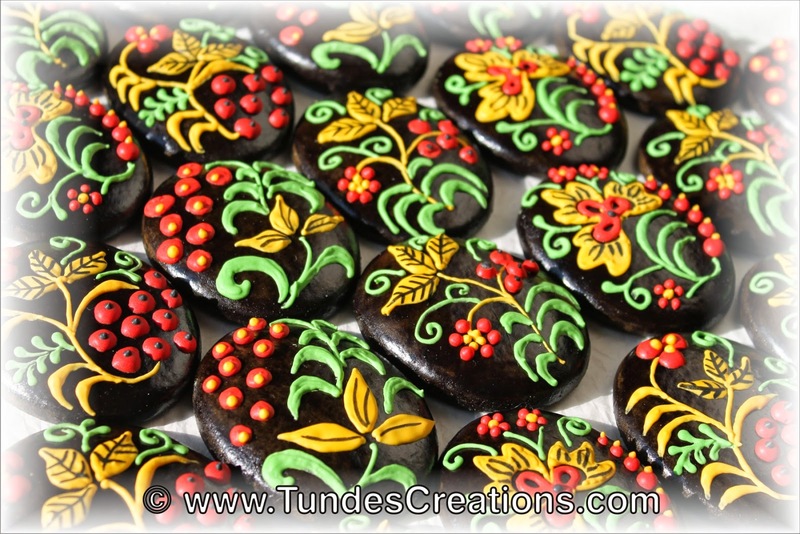 These cookies were inspired by khokhloma painting. 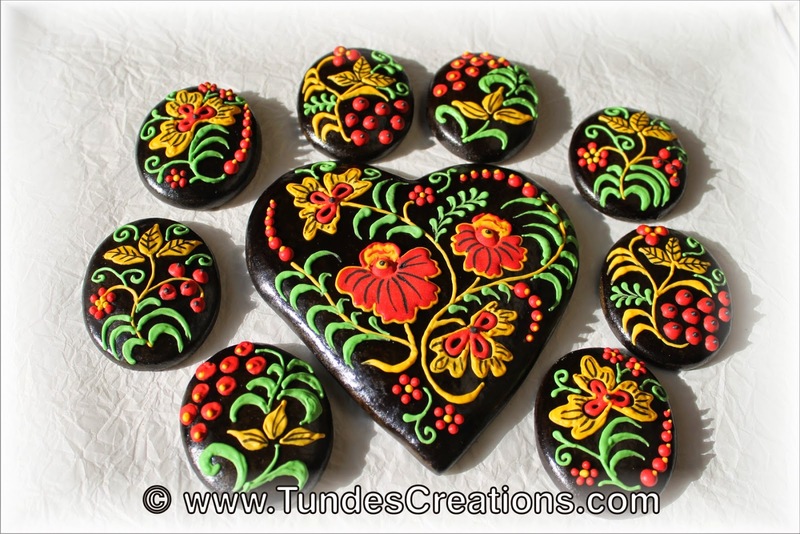 Khokhloma painting is the name of a Russian wood painting handicraft style and national ornament, known for its vivid flower patterns, red and gold colors over a black background, and the effect it has when applied to wooden tableware or furniture, making it look heavier and metal-like. 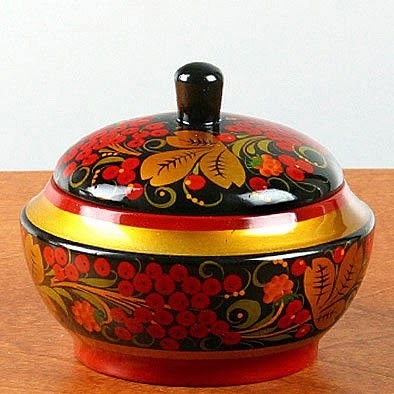 When I was a child, my mom had a khokhloma wooden box and it was full of little treasures. So my first set of Russian themed cookies is inspired by khokhloma. 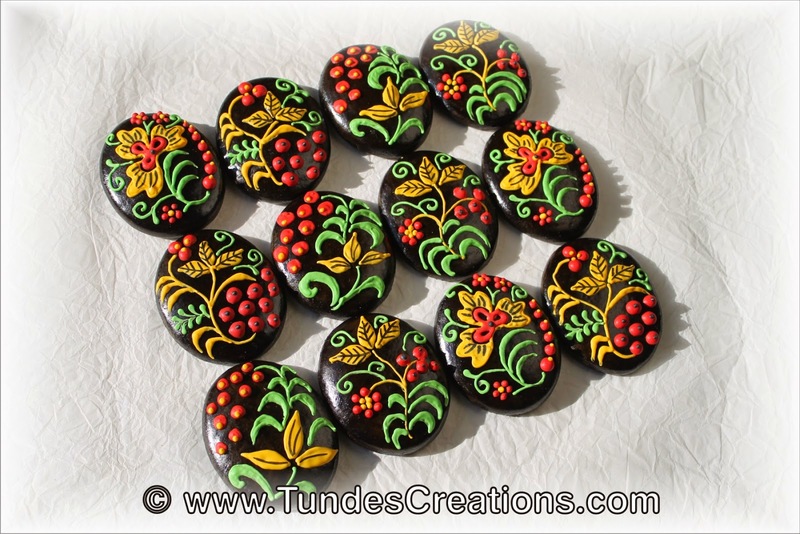 I first made a shiny black glaze base color, then added the red and yellow flower patterns with green leaves. Absolutely fantastic!!!! 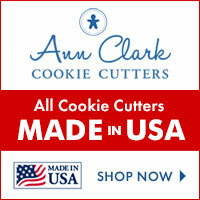 You always give me inspiration to think outside the box and try new cookie designs. Thanks!